This news release was originally written by Kristen Morales and published on UGA Today on June 22, 2017. Athens, Ga. – A planned gift from a University of Georgia alumni couple will help first-generation college students become educators. 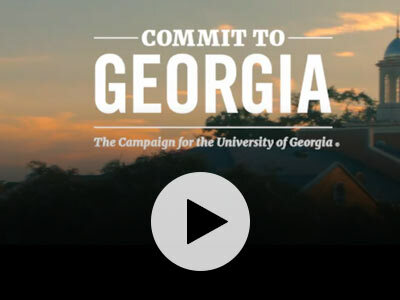 Created by Johnny Sanders Jr. and Rubye Coleman-Sanders, who both received advanced degrees from the UGA College of Education, the scholarship fund will assist underrepresented students at UGA who wish to teach in communities that typically struggle to retain quality teachers. It’s a way to give back to the university that helped propel the couple to successful careers, they said, and they look forward to helping the next generation do the same. The couple’s decision comes at a time when UGA is focused on expanding financial assistance for students. In the UGA College of Education, nearly half of undergraduate students face unmet financial needs. This includes not only paying for tuition and fees, but also affording transportation or housing. Education is at the core of the couple’s life, something instilled by their parents. Each came from large families that made earning a high school diploma a priority. Sanders graduated from Coppinville High School in Enterprise, Alabama, in 1967, and Coleman-Sanders graduated from Carver High School in Union Springs, Alabama, in 1967. Sanders and Coleman-Sanders pushed beyond high school, though. They served as each other’s cheerleader as they earned advanced degrees. After graduating from Alabama State University, where they met, Coleman-Sanders received a master’s degree from Wayne State University in Michigan and then received her doctorate from UGA. Sanders received his master’s, educational specialist and doctoral degrees from UGA. Along with the support they received from each other, the couple agrees that without the help of graduate assistantships and other financial aid, their advanced degrees would have been much harder to achieve, if at all. That’s why they felt strongly about establishing the Dr. Johnny Sanders Jr. and Dr. Rubye Coleman-Sanders Teacher Education Scholarship Fund. Financial aid put their goals within reach, and they want other to be able to experience success, too. The scholarship will be created by the residual from the couple’s estate. Sanders said this type of planned gift allows them to enjoy their retirement while also knowing that their love of education will continue in the form of financial assistance for qualified students. Because their graduate degrees elevated their careers, it only seemed natural to help future students, coming from underrepresented populations, to have the same opportunity. Sanders spent 33 years as an award-winning educator in high school and college-level classrooms. He retired as a professor emeritus in 2008 from Winthrop University in Rock Hill, South Carolina. As a professor of counseling and development in the College of Education, he was the first African-American man to become a tenured full professor, and the first counselor educator at Winthrop University to receive the South Carolina Counseling Association’s Counselor Educator of the Year award. 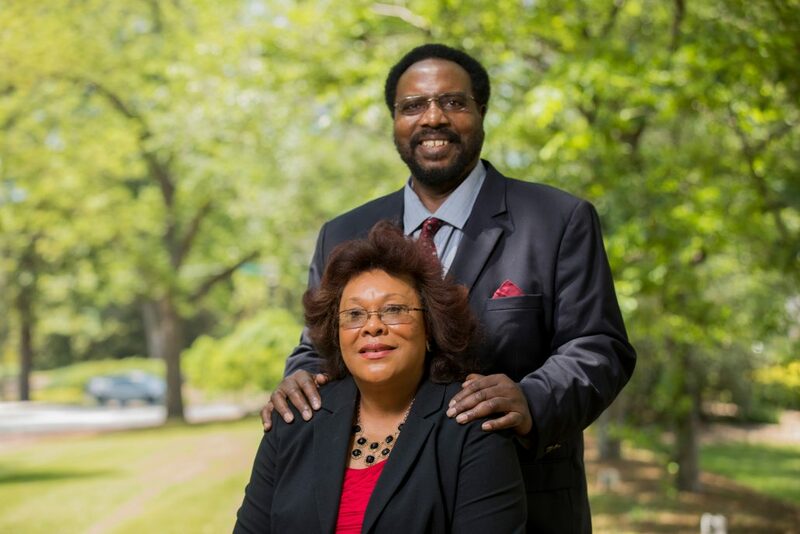 Coleman-Sanders specialized in both business and education, and spent 30 years in higher education. She retired from Lander University in Greenwood, South Carolina, where, like Sanders, she was the first African-American woman to become a tenured full professor. With their planned gift, they said, they can build off their own achievements to change the lives of students at UGA- and the lives of the students taught in the classroom.